Increased use of renewable energy, combined with intensified electrification, could prove decisive for the world to meet key climate goals by 2050. Active forest management has helped to boost bioenergy resources. Swedish experience offers valuable lessons for emerging markets. This report maps and categorises innovative solutions to integrate renewables. It brings together insights on key innovations to facilitate higher shares of solar and wind in the power sector. The Republic of Moldova has vast renewable energy potential that remains largely untapped. Greater use of renewables would reduce costly fuel imports and boost the country’s economic development. This technology brief from IRENA examines the multi-dimensional logistical challenges of establishing a steady supply chain for solid biomass. 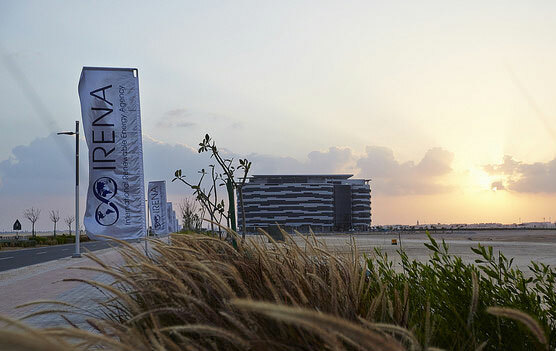 The IRENA/ADFD Project Facility represents a partnership between the two key organisations to promote renewable energy in developing countries. This report by the International Renewable Energy Agency (IRENA) and the Abu Dhabi Fund for Development (ADFD) reviews concrete progress over the first five years of their joint facility to finance such projects. This guide from the International Renewable Energy Agency (IRENA) can assist in decision making and help to carry out successful technical planning studies on solar and wind integration into SIDS power systems. This report explores the prospects for renewables to diversify national economies and the combined GCC energy mix, while helping the region meet climate goals and contribute to the 2030 Agenda for Sustainable Development. This report examines the question of gender equity throughout sector. Building on a ground-breaking survey, it finds that much remains to be done to boost women’s participation and allow talents to be fully utilised. This Commission Report analyses the geopolitical implications of the accelerating global shift to renewables. It is the culmination of deliberations by the Global Commission on the Geopolitics of Energy Transformation.